One of the most beautiful places in Iceland, where the delicate flora of Iceland meets the enormity of geological powers. An exhilarating day trip takes us through the moss- and birch-covered lava fields of Icelands most unique place Thingvellir (Parliament Plains), shot through with magnificent fissures and canyons. Thingvellir is also central to the nation’s history. Its a place to inspire every artistic soul. Thingvellir national park is a sunken plateau between huge rifts where the North American and Eurasian tectonic plates meet. It’s where the general assembly (old parliament) was established in the year 930 and continued to convene there for over 800 years. It’s also the ground where lawbreakers met their fate in death or banishment. 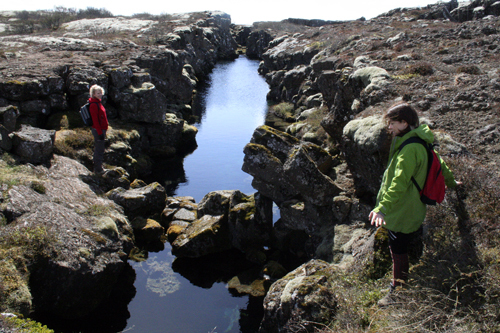 It’s the place where the delicate flora of Iceland meets the enormity of geological powers. It´s a place to lie down and listen to the birds. It´s a place where artists get inspired. Thingvellir is unique in Icelandic nature and history. We cross the birch and moss covered lava fields shot through with magnificent fissures and canyons in No continents land between the plates of America and Europe. Remnants of old farmhouses will be on our way as well as the old site of the pagan parliament, the Althing. 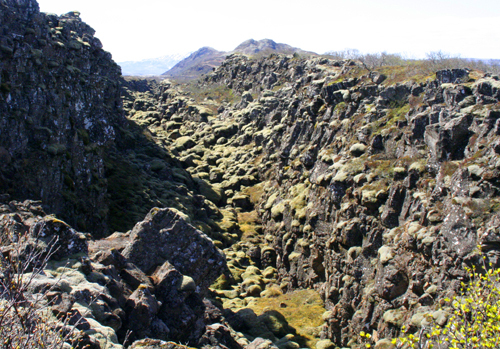 Other significant historical sites will also be examined, such as Brennugjá (Burning Canyon) where black magicians or male witches are said to have been burned. Wanderlust is about enjoying leisure, where quality counts. We organise walks and hikes in the unique landscape of Iceland, framed by glaciers, volcanoes and a spectacularly varied landscape virtually in the making.